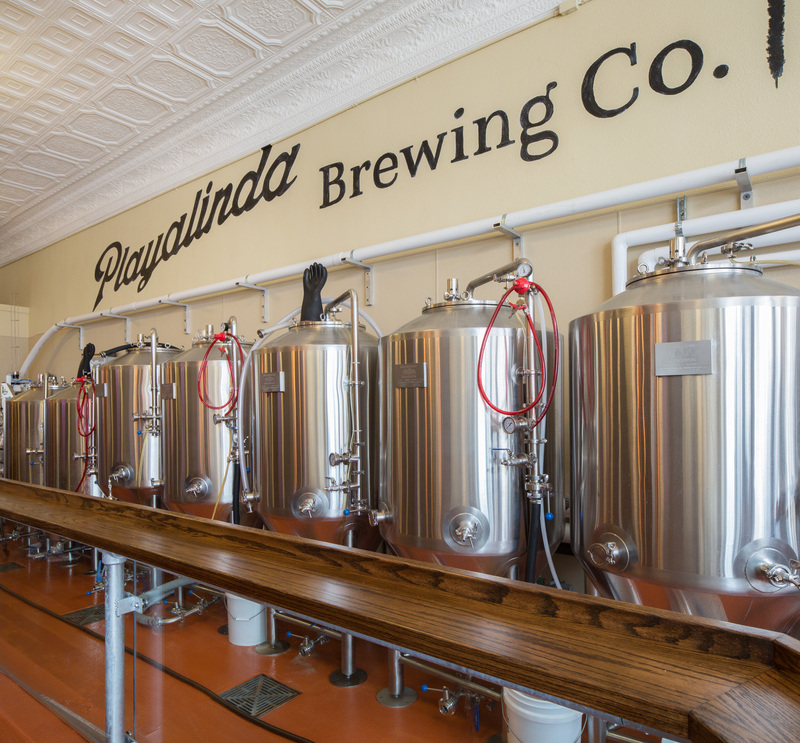 Playalinda Brewing Company – RUSH, Inc.
Playalinda Brewing Company, located in a historic building from 1910, is North Brevard’s first microbrewery. 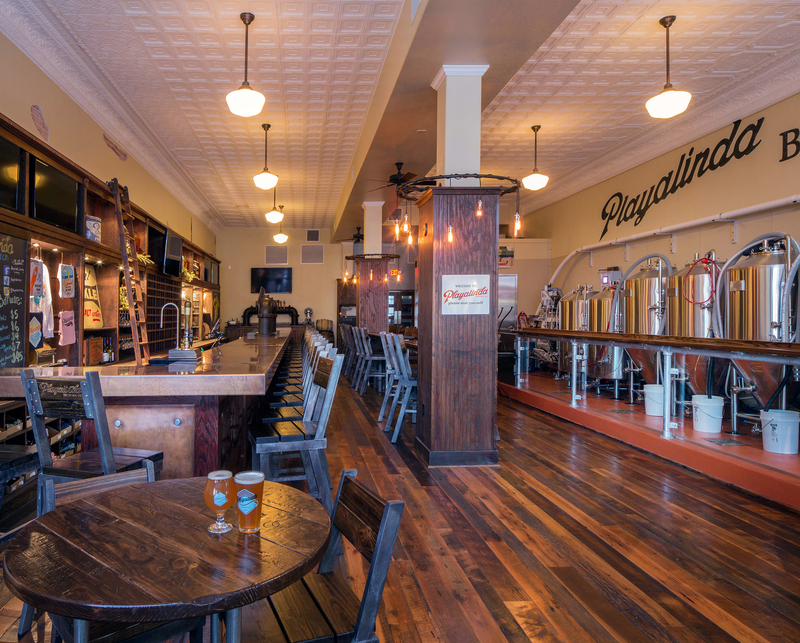 RUSH worked together with the owners of this building to blend a state-of-the-art brewing system in a historic building. 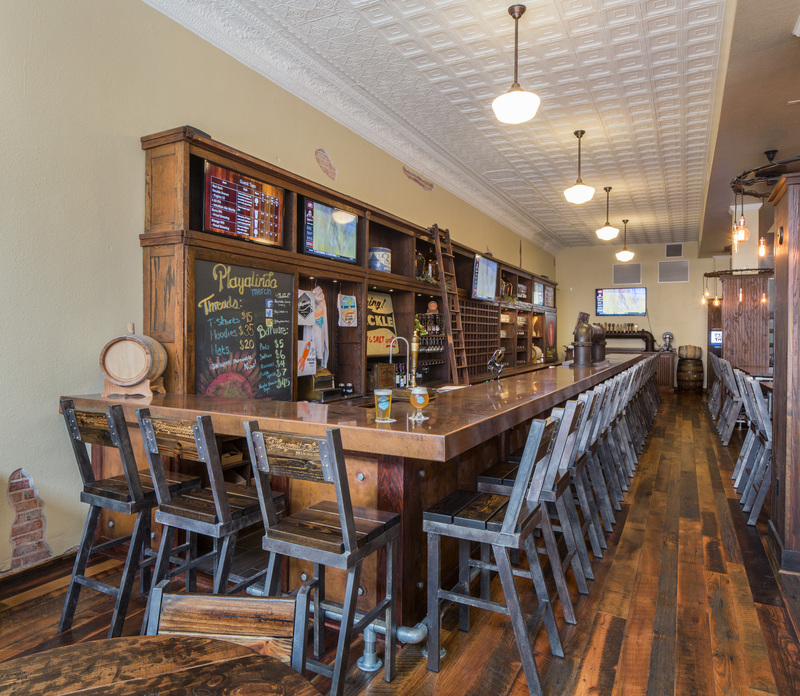 Due to the building’s age, extensive interior renovations were required for this project, while making every effort to preserve the space and include as many original fixtures and structures as possible. 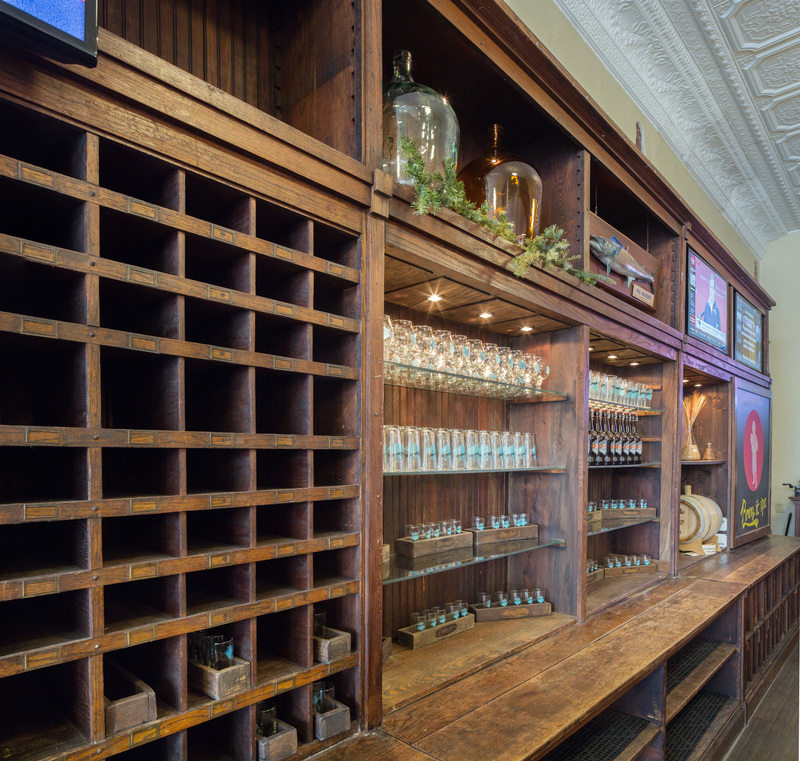 Some of the original items included the tin ceiling, antique cabinetry, entrance doors and storefront glass. 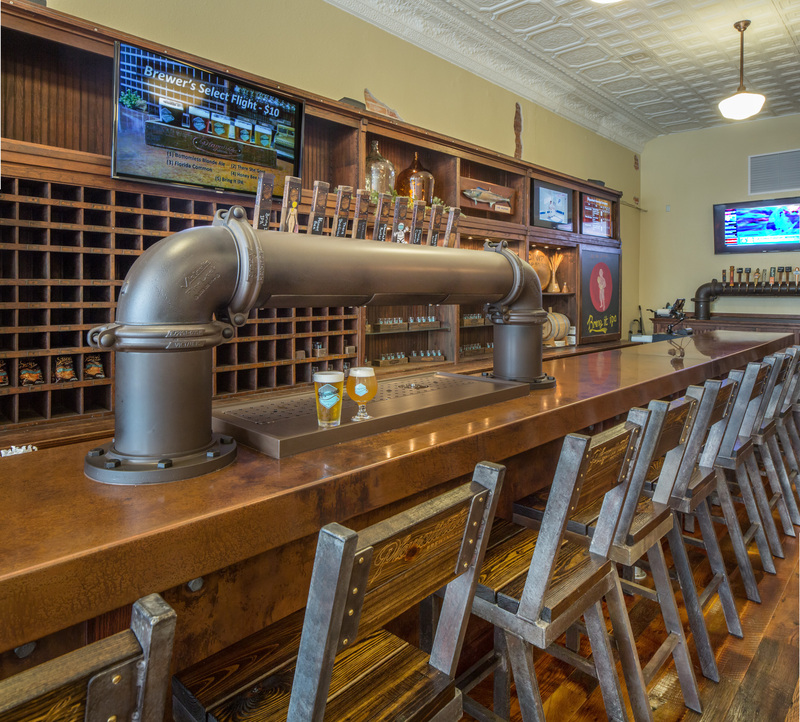 The renovation called for selective demolition with structural concrete and steel foundations for the brewery equipment. 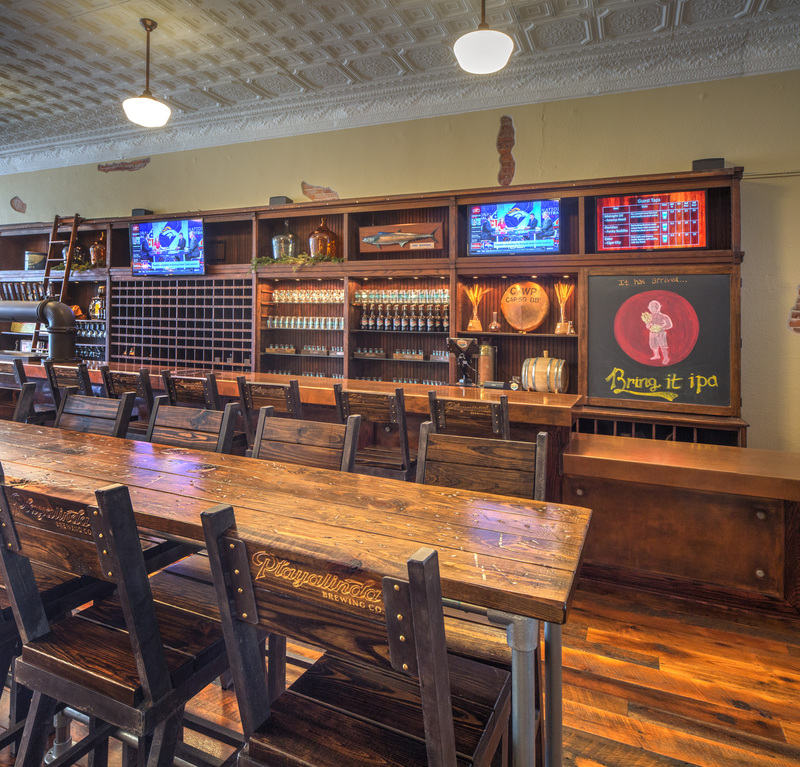 It also required new rooms, finish carpentry and trim, reclaimed wood flooring, and interior finishes. 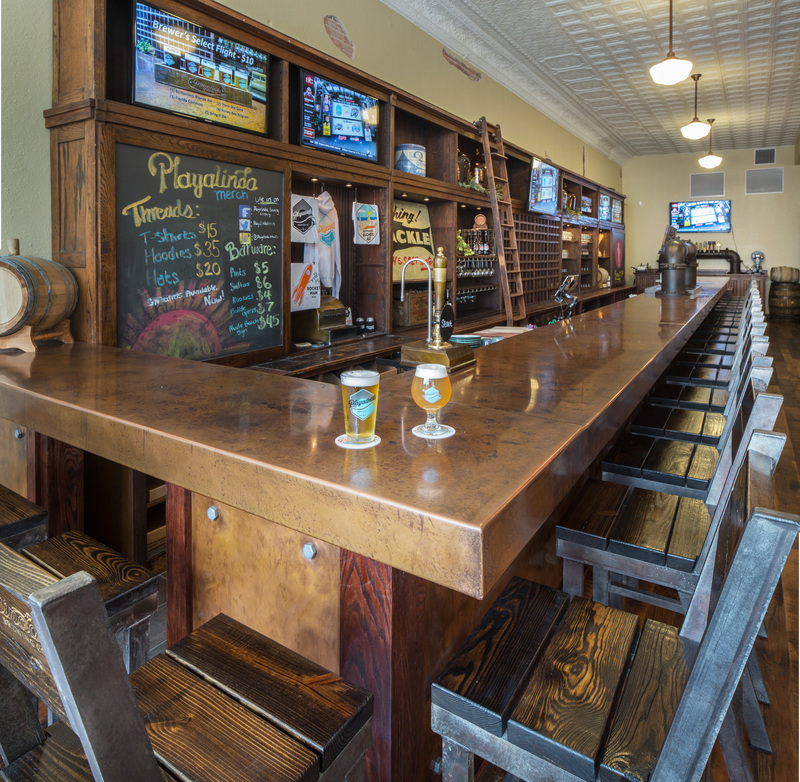 In addition, RUSH Construction handled the installation of the brewing equipment and a walk-in cooler. 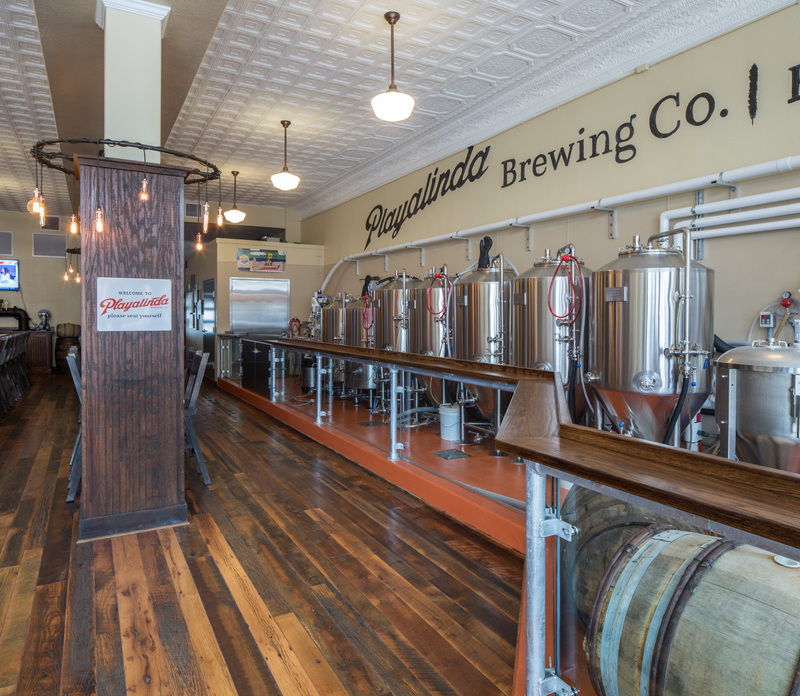 Upgrades were made to the electrical and mechanical systems, along with adding a glycol cooling system for the fermentation tanks and bar equipment.